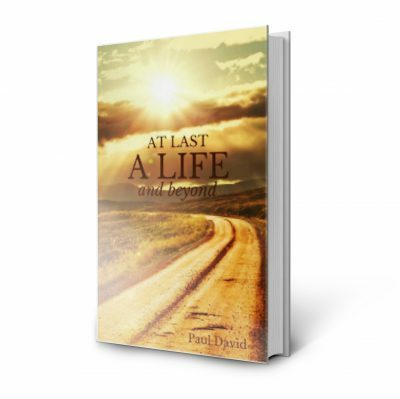 My latest book At Last a Life and Beyond is the sequel to my best selling book ‘At Last a Life’ After writing my initial book; people were always asking if I would ever consider writing another, well after nine years, I decided the time was right. The main reason for this was because of the new questions and concerns that were coming up on a regular basis on my anxiety blog and Facebook page. I wanted to leave no stone unturned and cover even more on the subject. I also hoped to find new ways of getting my point across. I also feel I have learnt more in the last nine years and wanted to share this understanding. You won’t find a list of techniques, rules or methods in this book, as you don’t need them. I am sure you have tried enough of these and still found little relief. This is where a lot of the so-called cures are flawed. Techniques, require more effort and are mostly built on suppression of feelings, which is the completely wrong approach. Anxiety is your mind and body’s way of telling you that you are already overdoing it with effort, both mentally and physically, so the last thing you need is to exert more mental energy by more thinking and doing. To recover from anxiety, we need to start taking away from the workload, not adding to it. This book will give you a more in-depth understanding of your condition and a full understanding of what is keeping you in the cycle. It will also explain how so much of your anxiety is self-created and the key points needed to break free and live a life beyond your suffering. I want to take you out of your constant self-help loop and get you to the root of your problem so you are finally free and not spending the rest of your life managing your symptoms. 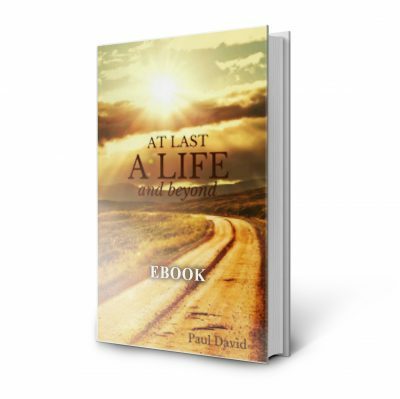 My first book ‘At last a life’ exploded after its release and is now a best seller all over the world. Most people say they love this book just as much, in some cases, even more so. It has been very well received and below is just a small selection of feedback given so far. on Amazon. Chapter 5: What is the need for anxiety? Chapter 11: Why does life bring so much suffering? You can purchase the book in physical or e-book form with any debit or credit card or PayPal account, using a secure online payment by clicking on the book image below. The other two options are here on eBay or Amazon in Kindle form. Overseas customers are always welcome, and delivery is usually around 10-14 days. If you would like to purchase the book then just click on the required image below. If you have any problem with your purchase, then don’t hesitate to contact me.